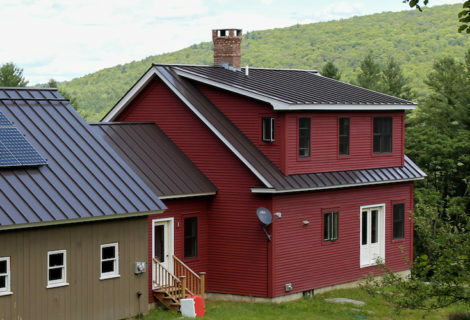 There are so many ways to travel with solar as your fuel. These days we’ve got electric cars, bikes, scooters, skateboards, and even motorcycles. Lots of options for folks living in big cities or small communities. At SunCommon, we believe in a clean energy future for everyone — and when it comes to e-transport, that future is arriving quickly. 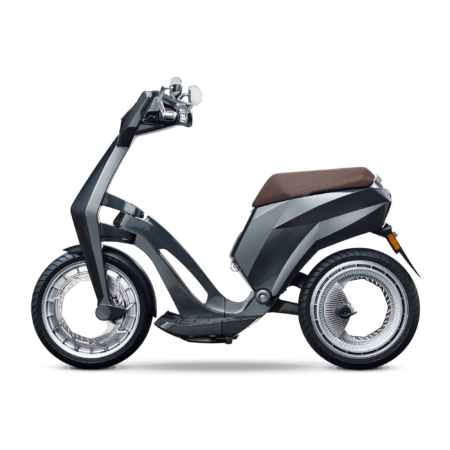 A folding e-scooter out of Luxembourg got some major buzz at this year’s International Consumer Electronics Show in Las Vegas. 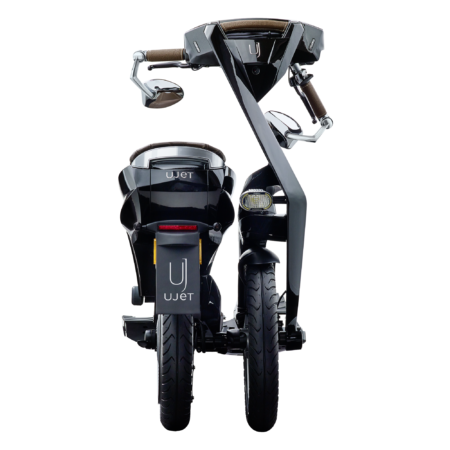 The Ujet has a lightweight frame that folds up for portability and to save space. You can roll the battery right into your workplace or home and charge it in a standard outlet. While smart-phone integration makes this a pricey ride, it shows the degree of innovation that’s currently going into e-transport. Bird Scooter in front of the statehouse. 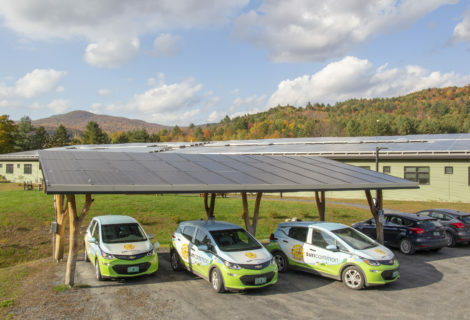 Montpelier, Vermont may be a small capital city, but it’s currently a hub for e-transport. Through mid-December, 100 Bird e-scooters are available downtown for public use through a pilot program to promote affordable, environmentally-sustainable transportation. Residents can use the Bird Rides smartphone app to locate, unlock, and pay for the scooters. E-scooters are great for the flatter sections of town, but when it comes to big hills (which many of us have on our commutes), e-bikes can really go the distance. 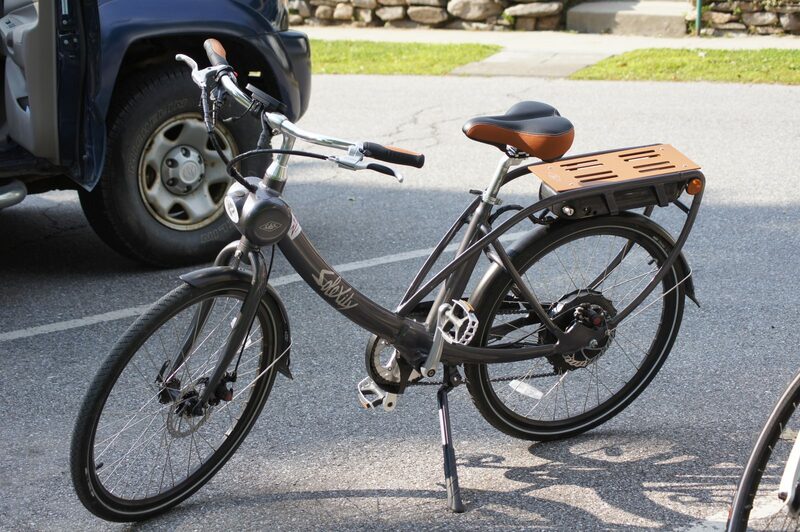 Montpelier does not yet have an e-bike ride share program, but they are available at a few local shops. Onion River Outdoors, a popular bike retailer in Montpelier, sells and rents e-bikes. Owners (and SunCommon customers) Kip and Jen Roberts say that people are coming in looking for a comfortable, urban e-bike with a rack for panniers. A popular goal for their e-bike purchasers is to be able to load up on groceries at the co-op and make it up the hill to their house! Zoombikes, in East Montpelier, is Vermont’s oldest supplier of electric bikes. 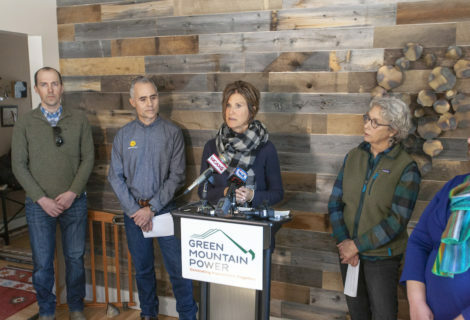 Their mission to raise awareness on alternative forms of transportation aligns well with SunCommon’s mission to promote affordable clean energy. So we’ve created a partnership to help save money and the planet — SunCommon customers get a 10 percent discount on the purchase of an Evelo bike through Zoombikes. Evelo offers commuter bikes, mountain bikes, street cruisers, folding bikes, and trikes. Ask us about the discount if you’re interested. At SunCommon, a lot of us commute to work in electric-powered vehicles (or EVs)s—we’ve got a big fleet for our staff. Plus we’ve got our own solar-powered fast chargers at work. But outside of work, we’ve got the same challenge as all other EV drivers: where do we charge while on the road? Google Maps is helping with that challenge. They recently added a search function to their app to help locate charging stations. Simply search for “EV charging stations,” and the locations populate your map. E-transportation is exciting, and new options are available all the time; there’s too much to cover right here, so we’ll update you on e-skateboards and motorcycles in a future post. Electric technology is improving quickly, offering more convenience and faster-charging batteries with each new model that comes out. Together, we can ensure a clean and quiet clean energy future with batteries powered by solar!